HÀ NỘI — Việt Nam have been named in the world’s top 100 in FIFA’s November rankings thanks to the team’s remarkable results at the ongoing AFF Cup. 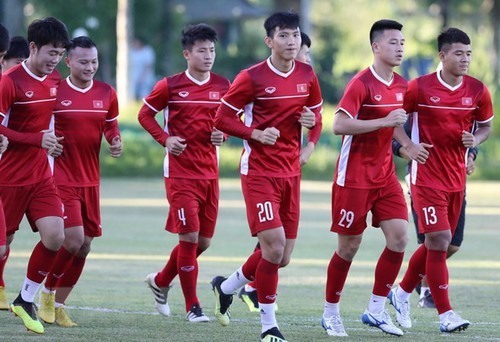 FIFA placed Việt Nam at 100, a jump of two steps compared to last month. The standing means that coach Park Hang-seo has completed his promise to make Việt Nam one of the best 100 teams in the world. Việt Nam are No 1 in Southeast Asia, followed by the Philippines, No 114, and Thailand, No 118. Việt Nam will play the Philippines in the AFF Cup semis-finals on Sunday while Thailand will meet Malaysia a day earlier. In Asia, Iran rank top, followed by Australia and Japan.